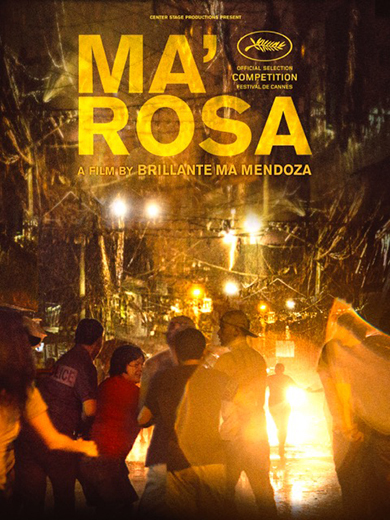 Internationally renowned Filipino filmmaker Brilliante Mendoza is back with his latest film Ma’ Rosa. Known for his films including Kinatay (2009), Captive (2012), Thy Womb (2013) which have all had a wonderful film festival run,now Ma’ Rosa is part of the competition section at Cannes. Synopsis: Ma’ Rosa has four children. She owns a small convenient store in a poor neighborhood of Manila where everybody likes her. To make ends meet, Rosa and her husband, Nestor, resell small amounts of narcotics on the side. One day, they get arrested. Rosa’s children are ready to do anything to buy their parents’ freedom from the corrupt police.